CHECK OUT OUR IN-STORE HOLIDAY GIFT IDEAS! With the purchase of of any Treatment Package, save the tax on an EmerginC at-home skincare regimen designed exclusively for you by one of our trained specialists. 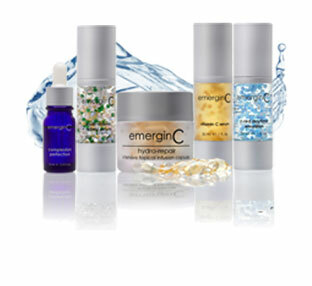 EmerginC offers a comprehensive line of cosmeceutical products for virtually all skin types. This prestigious line has been featured in Vogue, Glamour Magazine, Allure, ELLE, Cosmopolitan, Flare and Marie Claire, to name only a few. Precision Laser also carries EmerginCs 100% natural Scientific Organics product line.